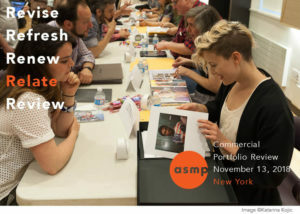 American Society of Media Photographers (ASMP) New York Chapter’s Commercial Portfolio Review is an opportunity for photographers to receive valuable feedback on their work from creative directors, art directors, art buyers, and photo editors. It’s a chance to network with fellow photographers and industry members as well as refresh your portfolio and evaluate your goals. Recent participating reviewers have included The New York Times, Ogilvy, Esquire, Time, Image Source, Getty, CBS, DDB, BBDO, FCB, Slate, Time Out New York, Direct TV, Scholastic, Rolling Stone Magazine and numerous others. Start preparing now by updating your portfolio and creating memorable promo items to leave behind. See the confirmed list of reviewers HERE. Each photographer will show one portfolio (or two) and will have 10 minutes with a reviewer. Photographers will wait in line behind them. No portfolio over 16 by 20 will be allowed, for ease of reviewers. iPads and Laptops are welcome.  This is an ASMP Members-Only event. Please arrive no earlier then 6:15pm to sign in. As this is a members-only event, please bring your ASMP membership card as only current members are allowed to participate.